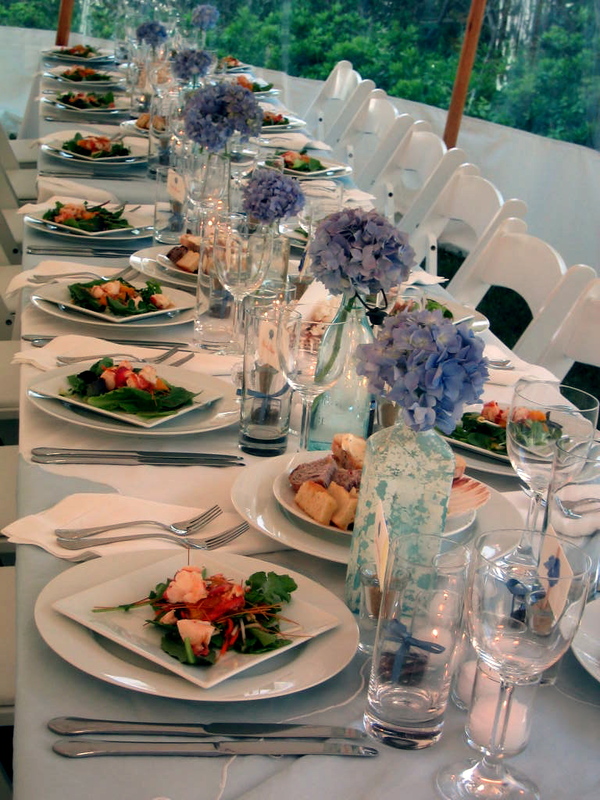 Susan M. Warner Catering offers a diverse menu of hors d'oeuvres and entrees and we are happy to work with you to find the right flavors for your event. Passed Appetizers are creatively garnished and presented throughout the event by our servers. 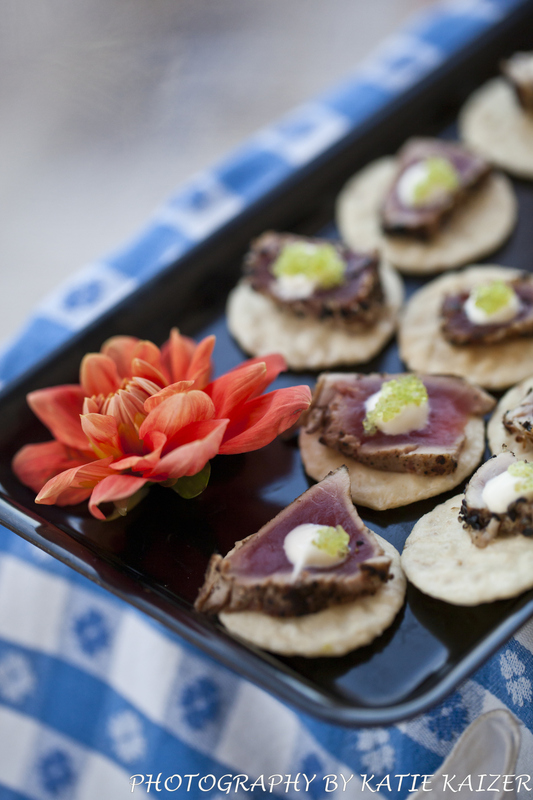 Station Appetizers add a touch of performance to an event by allowing your guests to see the food being prepared and presented. Whether it’s a server plating up a crisp Caesar salad, a chef carving and serving petite lamb chops, or grilling Satay, appetizer stations make a memorable addition to your party. Display Appetizers are arranged and garnished on table-top platters, allowing your guests to mingle and dine at their leisure. 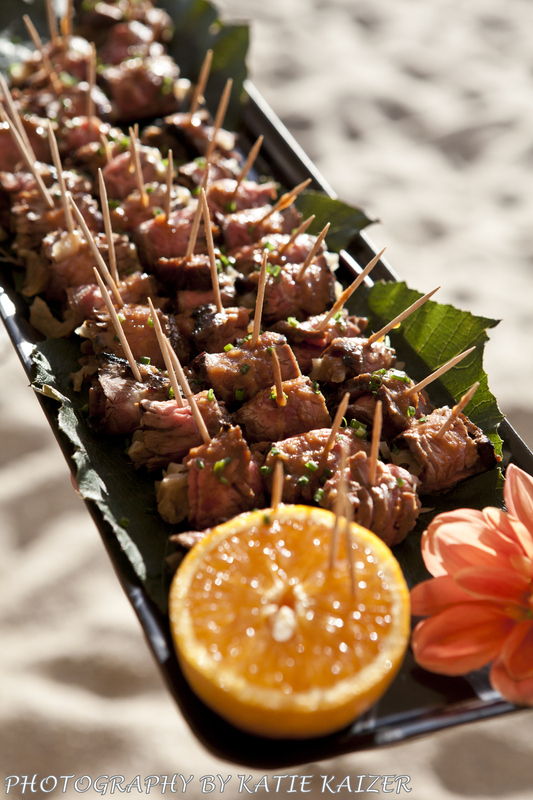 We can work with you to customize the presentation of the appetizers to best suit your event. Raw Bars: One of our most popular offerings is our 17’ raw bar canoe. Your guests can choose from a selection of shrimp cocktail, chilled oysters, and clams (opened on the spot and served fresh by our shuckers), and ceviche. 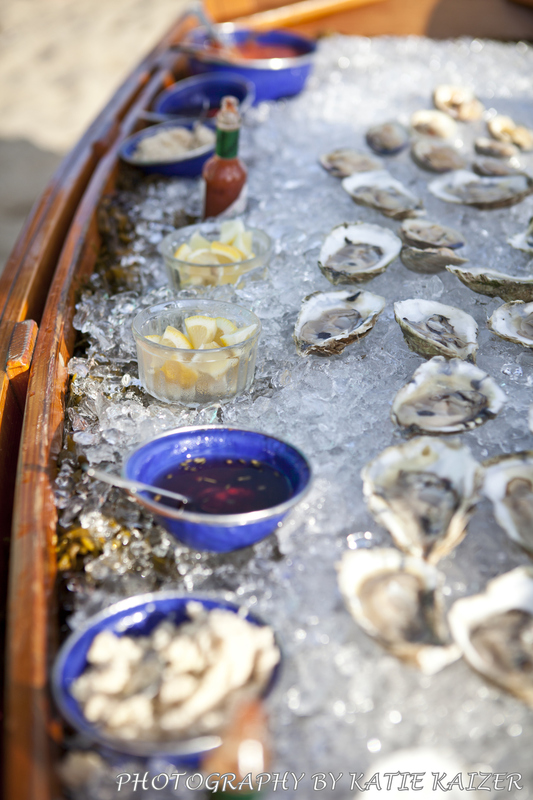 Smaller raw bar displays can be served from our 7’ wooden dinghy or from ice bowls and platters set on high bistro tables. Please contact us to discuss our full menu. Expertly crafted by our experienced chefs, we can customize your dinner to your specific preferences. With many of our ingredients sourced from sustainable, local producers right here on Nantucket, we offer a variety of creative menus, including fresh salads, seafood, meat, and vegetarian entrees. Please contact us to discuss our range of menu options. Header image by Zofia & Co.